Thanks Wajed for shipping out the bag quickly. Unfortunately, my first bag was missing the d-ring and I could not attach the leather strap. After a few emails, Wajed shipped out a replacement bag which I received right before Halloween for my costume. Great service. thanks WPG. My replica bag arrived quickly but was missing a D-ring and I couldn't attach the leather strap I ordered as well. A few emails later and Wajed shipped out a replacement bag that was in perfect condition. Highly recommended. Perfect quality and a very quick delivery. Very satisfied with the bag and WPG. Shipping was fast and quality very good. Will recommend, and order again. I was not only impressed by the bag and strap themselves, but the way the order was handled was exceptional! My strap arrived first. It was picked and sent out in 40 minutes. My bag, was sent out on Sunday. It arrived today. I was able to track the progress the entire way. I was happily impressed with the amount of customer service this company has towards their customers. I will be ordering from them again. Ordered on the 29th of August and had it by Sept 3rd. Very surprised by the efficiency and speed of the delivery. Repro bag was on back order, but well worth the wait. Bag and strap very nicely made, great detail. Very pleased! 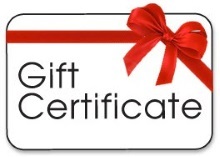 Excellent and prompt service and a great product. I'm content with the quality. Shipping was unbelievably fast. Excellent reproduction. Leather strap good quality but was expecting clip attachments on each end to hook to the bag. Useful reproduction, true to the original, prompt delivery! High marks all around. The bag looks flawless and is a spot on reproduction of the originals. The Indy leather strap looks very close to the ones used in the movies. You cannot beat the price and the quality exceeded my expectations. Not to mention the speedy shipping. Serious, Proffesional and Friedly Seller. Fast Shipping!!! A pleasure. I got my Reproduction MK VII yesterday (Monday) after ordering it the previous Wednesday, so shipping was extremely quick which is nice. Very pleased with the product and already toting it around with stuff. My *only* complaint is if you order this and the leather strap for it, it would be nice to have instructions how to attach them. A very minor complaint as a quick search on the Internet and I found a video of just that. Within 5 minutes I had my satchel and ready to go! Received the bag. Looks perfect. Completely satisfied!! Service highly recommended! I have been looking for this bag for some time now. I didn't hesitate once I found it on WPG. I was totally amazed that it arrived so quickly and was even more impressed with the quality of the product. Thank you. Next up. The Indiana Jones Shirt. Very well made and excellent shipping. Very well made. I am very pleased with it. first order and very happy! I ordered a bag a strap and it was here in no time. I filled the bag with several items and still have plenty room for more. Construction seems sturdy enough. I''m a Cub Scout leader and this is my go-bag with note book, scout book, first aid kit and other items I need. The snap tension on the flap is just right for easy access and the replica strap is well-made. The bag is spot on to what I needed and expected. Cut and stitching looks solid an durable. Leather strap looks great, too! The bag arrived much sooner that I expected, and I found the item to be in excellent condition. Great transaction! Excellent quality bag, very well made! Glad i got the leather strap too. WPG shipped the product promptly, great service! I received my order from you. Excellent reproduction of the movie version. Very clean and well put-together. I was initially apprehensive about having something shipped from the UAE. The shipping and delivery was flawless, quick and fairly priced. The bag looks great and arrived very quickly. Excellent item. Excellent reproduction, very impressed with the quality and workmanship. Shipping was fast. Shipped all the way from Dubai to my home in the US in less than 4 days. Impressive! Perfect for my daily use. WOW, just wow,lol. I received my Reproduction MKVII bag and Leather strap yesterday and am extremely impressed with the high quality of this product. It will serve me well.Thank to all at WPG and i''ll definitely remain a loyal customer!! Excellent bag. I had bought a replica on another site but this qaulity is far, far superior. Got the leather strap too and together they will take a lot of punishment. If you want a tough bag and not a museum piece I'd say go with this replica. A first-class job! I Love These Bags, Got Two Now One Is My Camera Bag. 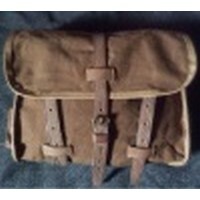 And The Other Is My Reenactor WWI British Officer Bag, FAST Turnaround. I Recommend also To Everyone" THE BEST"
The Bag is excellent, i'm a very pleased customer. Great and friendly customer service, real fast delivery. I will buy in future. The bag is absolutely perfect, beautiful, durable and identical to the original! Shipping is fast and professional service! Replica de gran calidad, buenos acabados, lona muy resistente, ideal para el dia a dia.. Fan-freakin-tastic!! Bag looks fantastic and shipping was prompt and efficient. Well worth spending the extra for the strap as well. Will recommend site to anyone who will listen. Fast shipment, great service and great item. Very good service and nice quality. I received the bag without a hitch and it is great quality! Very Pleased. What an awesome reproduction of iconic movie memorabilia!!! This is now my daily satchel and a perfect companion for my iPad. Fits in perfectly where ever you are and can be a great talking piece. Every day is an adventure when you have this Indy bag by your side! Super fast shipping, and a top shelf product. You must get the leather strap to go with it!